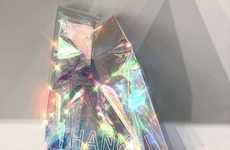 Saks Fifth Avenue — the upscale department store in New York City's Manhattan neighborhood, has received a design-forward embellishment in the form of an iridescent glass escalator. 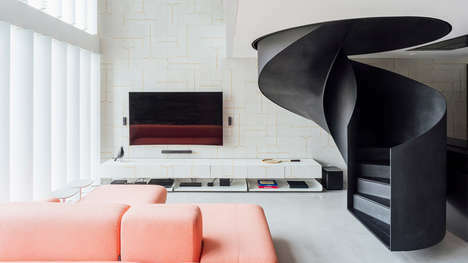 Created by Dutch architecture firm OMA, the multicolored element adds a captivating twist to the extravagant luxe interior of the retail destination. 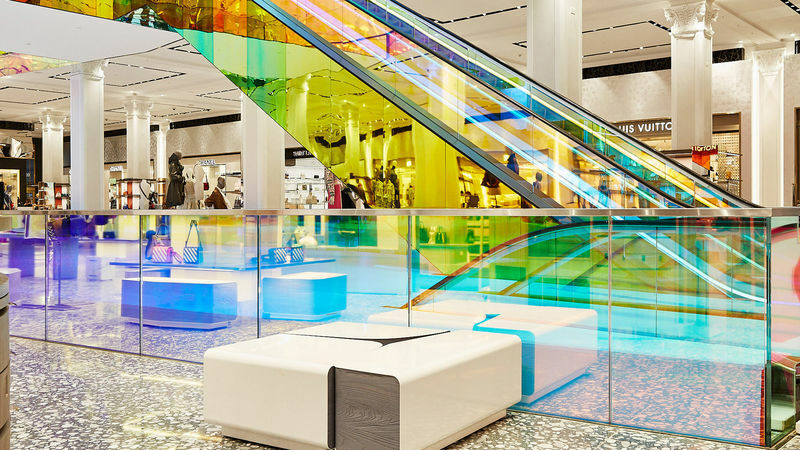 While the effect of the color-changing glass escalator is surely captivating and high-impact, the application process isn't complicated. 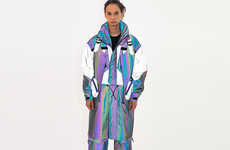 OMA used a coating of iridescent dichroic film to achieve it. 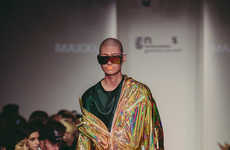 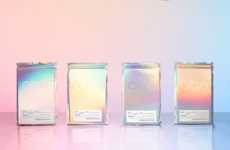 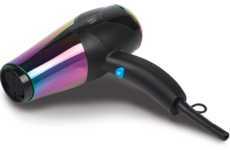 The endeavor is a testimony of the rising use of such materials in design - this includes holographic collections like Six N. Five's Holo-Scandinavian furniture line, MAGIC STICK's coat collection, Candice Blanc & Ulysse Martel's weights, as well as a number of applications of the iridescent effect in the sphere of packaging design.